“Redesign in-house or outsource?” This question has been posed in numerous blogs, listservs, and magazine articles. Our reply: Why not both? That’s what the University of Tampa did when it hired us to redesign their alumni publication, UTjournal. Having been a part of in-house teams in my career, I know how hard it is to complete a redesign while producing the ongoing issues and balancing the internal politics. And as a consultant, I know that an outsider can bring a fresh perspective that is so important for a redesign. But I also know having the internal team as part of the project can add valuable insight and make a redesign sustainable. Having the creative team be part of the process gives them ownership of the redesign, which can lead to future success. 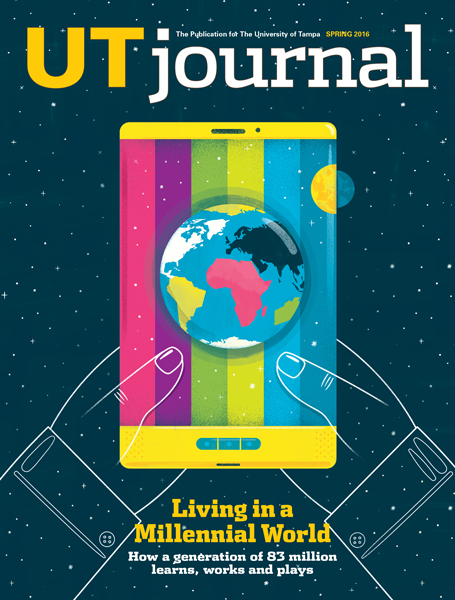 During the redesign of UTjournal, the art director, Anne Rowland, came and worked at our studio for the development of the logo and cover design. Together we presented the three directions we felt were strongest to the editorial team. Working from the selected direction for the cover design, we developed the look and feel for the internal pages. We shared our designs along the way with the publications team, and with them we presented the final design to the UT president. Note: We will caution that this is not the right solution for everyone. But when you have a talented designer/art director in-house, it is worth considering. We continue to consult on UTjournal, art directing, designing, and creating the covers and select feature articles. We read, review, and concept, working closely with the editor, Kiley Mallard, and art director, Anne Rowland. 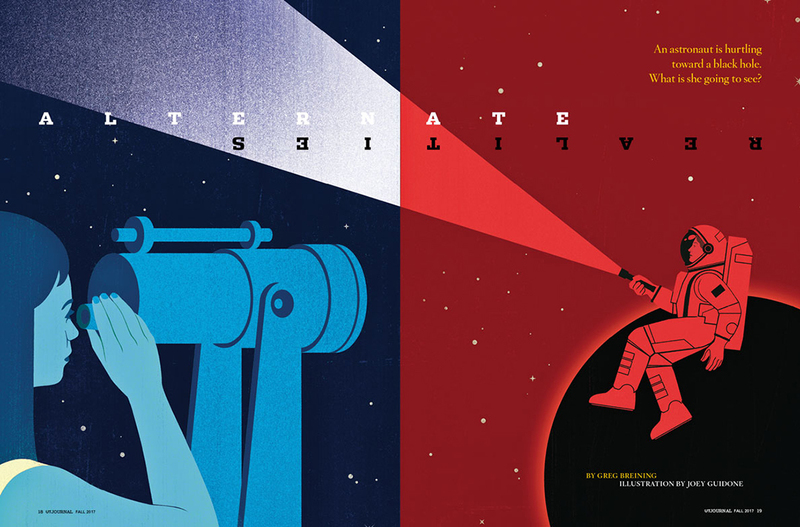 For recent issues we have created illustrations, including the Fall 2014 and Spring 2015 covers.